Toronto, Canada is surrounded by various beautiful areas begging to be explored – many of them less than four hours’ drive away. Here are the most incredible day trips from Toronto. With its glistening clear waters and misshapen natural sea stacks or ‘flowerpots’, which give the island its name, Flowerpot Island almost makes you do a double-take. Surely, this haven can’t be under four hours from Toronto? Think again. It’s accessible only by boat for a small fee. 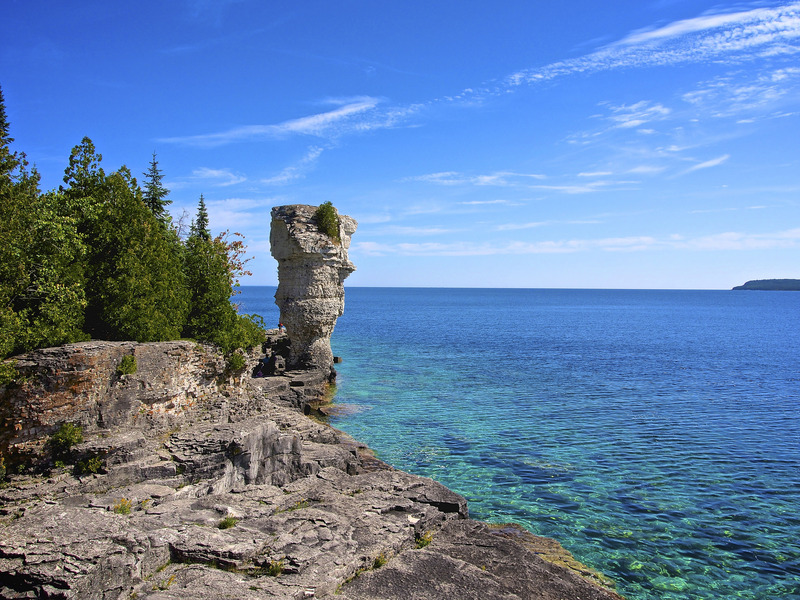 Hop over off the coast of Tobermory for a spot of scenic hiking, swimming and all sorts of frolicking on Flowerpot Island. The island offers glass boat tours, which allow visitors to view shipwrecks from centuries past and other stunning landmarks. If you’re more in search of small-town charm than picturesque panoramas, consider heading to Kleinburg, Vaughan. Littered with quirky and eclectic boutiques, the quaint Village of Kleinburg is the perfect place for a day spent indulging in retail. For a more cultural experience, consider a visit to the McMichael Gallery, home to works by contemporary and Aboriginal artists, or the Kortright Centre for Conservation. By night, the village is a romantic hub known to please foodies and dessert lovers with rows of European-inspired restaurants, cafes, and dessert parlors. 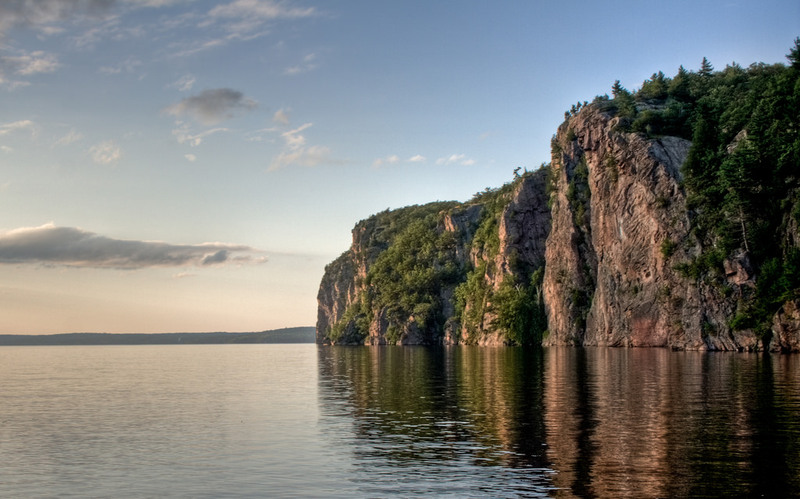 Located in Cloyne, Ontario, Bon Echo Provincial Park is host to the 100-meter-high Mazinaw Rock. This rock features more than 260 Aboriginal pictographs. For an outdoorsy adventure, make the three-and-a-half hour drive up to Bon Echo where you can bike, hike, boat, swim, bird-watch and even canoe. The peregrine falcon, an endangered bird, is commonly known to nest on Mazinaw Rock. Other bird species including turkey vultures and red-tail hawks can also be spotted at Bon Echo Provincial Park. Hiking trails vary in difficulty, ranging from one kilometer to 17 kilometers in length. 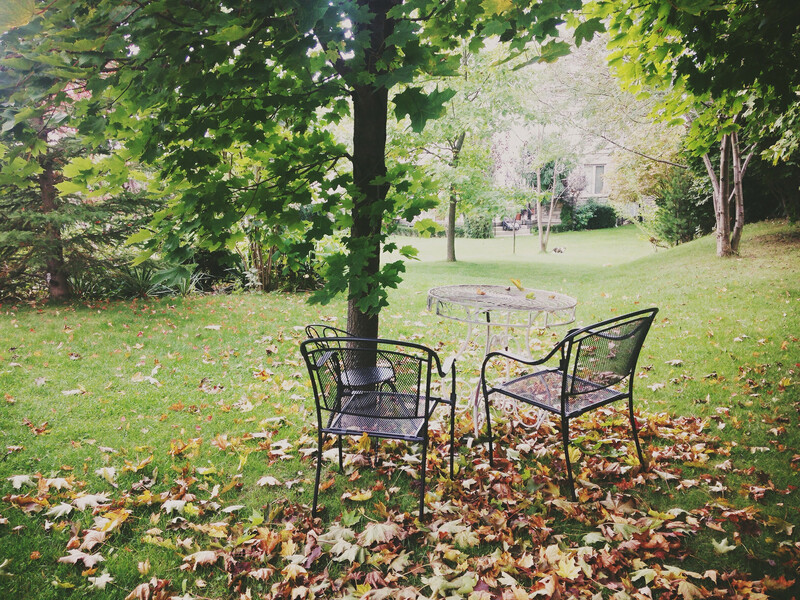 Collingwood isn’t only a wintertime hot spot. In the summer, the Scenic Caves make Collingwood an equally adventurous destination. 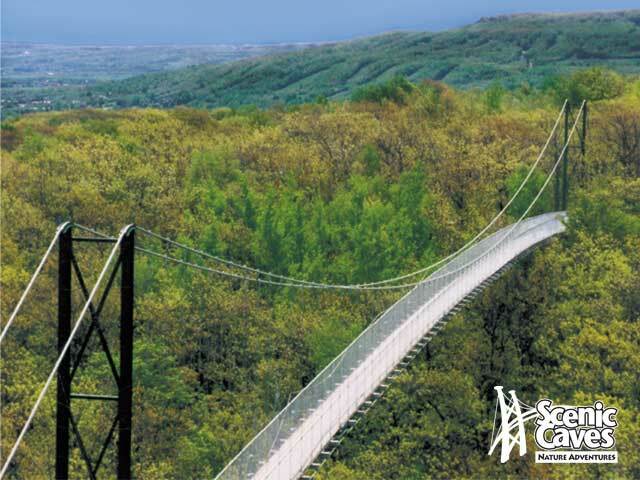 Visitors have the options to zipline, hike, walk across the longest suspension bridge in Southern Ontario and much more. Caves extend up to 70 feet deep, with some retaining ice and snow well into the middle of summer, while the edge of the limestone cliffs at the Scenic Caves has views of the Georgian Bay and countryside that span 10,000 kilometers. Consider stopping at ‘Lover’s Rest’ for a sweet resting point with pretty views. This national park is actually host to 21 islands and several smaller islets, contrary to what its name might suggest. 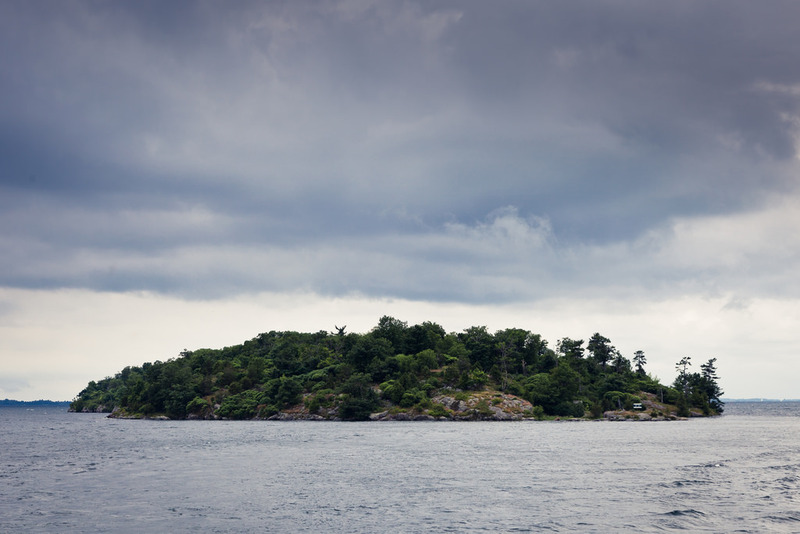 Much of Thousand Islands National Park is accessible only by water, but it is an unmissable sight. The surrounding waters are kayak- and powerboat-friendly with rare species of turtles and birds occupying the area. Moving on to the dryer land, visitors to the Thousand Islands are also welcome to picnic by the river at Mallorytown Landing. Outfitted with barbecue facilities, a gazebo, interactive exhibits and visitor-friendly animals, the river bank makes for a great downtime spot after an afternoon of kayaking. If you’re scratching your head wondering how Scarborough made it on the list of day trips to make out of Toronto, consider a simple image search of the Bluffs. 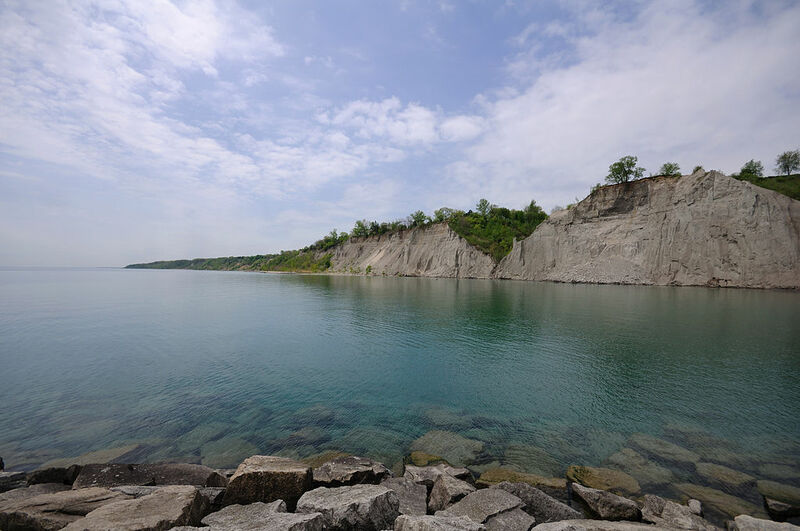 Perfect for laying out and winding down with friends and family, the Scarborough Bluffs are a surprisingly contrasted scene to the city that surrounds them. Throw some steaks on the barbecue by the waterfront at Bluffer’s Park (accessible via Brimley Road), or drive up to the lofty Scarborough Bluffs Park (not to be confused with aforementioned Bluffer’s Park), which offers vertigo-inducing views of the scene down below. For a drive under half an hour, the Bluffs make for a perfect speedy daytime getaway. A recently populated fact about the City of Hamilton is that it is also known as the City of Waterfalls. An hour from Toronto, Hamilton is home to more than 100 waterfalls that are found along that Bruce Trail and Niagara Escarpment. 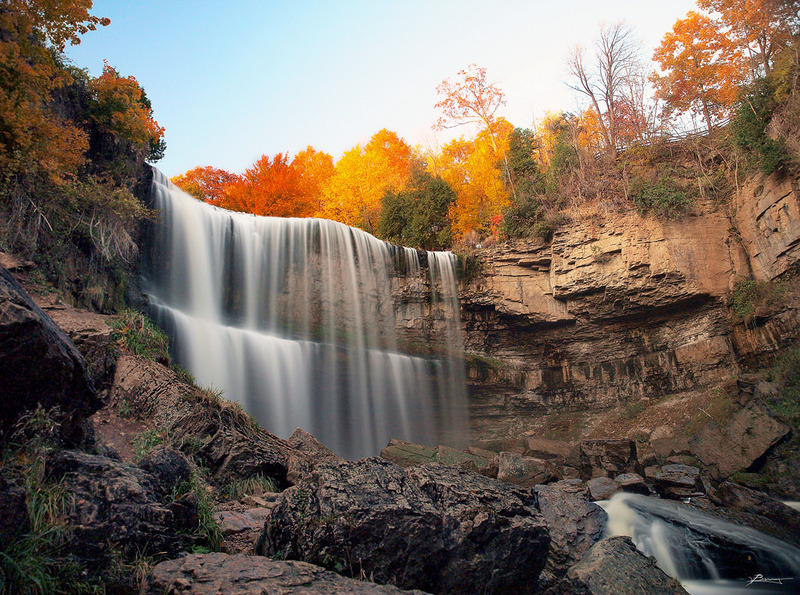 Commonly visited falls included Albion Falls, Borer’s Falls, and Devil’s Punch Bowl. Consider a waterfall-hopping escapade using this guide of the top falls to visit while in Hamilton.